All seals have adhesive already applied and to install you just peel off the backing and press into place. Why buy a kit?. 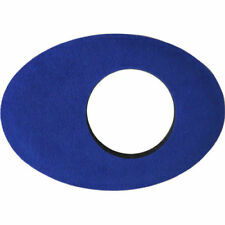 Sure, you can save money by purchasing bulk foam material and cutting your own kits. 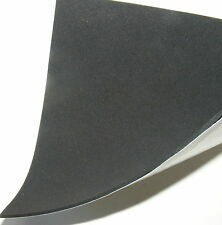 2mm thick A1 quality closed cell foam seal. 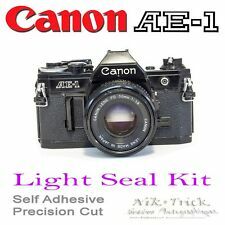 AE-1 light leaks are very common and the seals notoriously difficult to replace, so let us make life easier for you. Nik & Trick may be small, but we are now making the biggest impression in traditional photography because nobody loves film lovers like we do. (But will not fit Leica M5). (Image shows original PX625 battery against adapter and Yashica 124G - both of which are not included). (When using zinc air battery). The zinc air battery are known as 675 battery (aka: hearing aid batteries). Light seal kit for Hasselblad film backs. Nik & Trick may be small, but we are now making the biggest impression in traditional photography because nobody loves film lovers like we do. Kit has adhesive laminate on the back for easy application. Material: PU Leather. By default this cover will be cut in mustard color. Original recovery cover by hugostudio. This is the list of of mirrors. Rolleiflex Angle Mirror. 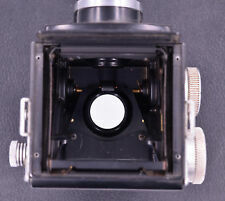 Ciroflex Model B thru F. KW Box Reflex. Ikoflex Coffee Can. Voigtlander Suburb. Seagull 4A. Rolleiflex SL66. Rollei 35 TE Gehäusekappe schwarz - neu. aus einer Werkstattauflösung als Ersatzteil. 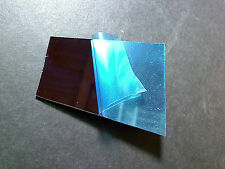 It is made from a piece of 1.25mm thick FSM (front surface mirror). Rolleiflex 3.5 f. It has adhesive laminate on the back for easy application. Material: Genuine Leather. Original recovery cover by hugostudio. It will fit the. MAIN CIRCUITS FOR CANON EF 400MM F2.8 L II LENS (OLD TYPE). MADE BY CANON. 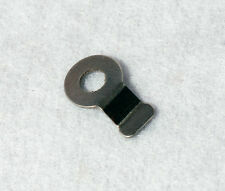 YG2-0275-000-MAIN FLEX -M10. Pentacon Six TL W/ waist level finder. It has adhesive laminate on the back for easy application. Lens mount ring need to be removed before installing the cover (see 4th picture). Material: Genuine leather. ONLY ONE REWIND UNIT SUPPLIED PER ORDER. CA1-1341-000-REWINDING UNIT -M7. Genuine Canon battery grip designed to work exclusively with the EOS 20D, 30D, 40D and 50D Digital SLR's. Fits Canon EOS 20D / 30D / 40D / 50D. This grip will fit and work on the Canon EOS 20D, 30D, 40D & 50D Digital SLR's only - it will not fit any other model. It will fit the Gray Yashica D. It has adhesive laminate on the back for easy application. Material: Genuine Leather. Texture: Grainy similar to the original. 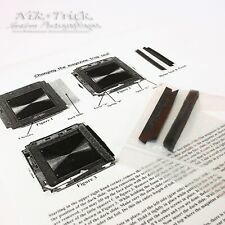 Nikon FM2 ~ Replacement Light Seal Kit ~ Laser Cut, Enough for 3 Cameras! For the ever popular and sturdy Nikon FM2.just about the only part that these need even now they are years old! Nik & Trick may be small, but we are now making the biggest impression in traditional photography because nobody loves film lovers like we do. You should be familiar with DP-3 and DP-12 viewfinder repair. DP-3 DP-12 RING RESISTOR ASSEMBLY. Alternative an, die von Hasselblad bei einer späteren Serie auch. Mit der Bestätigung eines Kaufs oder Dienstleistung werden die Datenschutz Regeln akzeptiert. dem zuständigen Finanzamt. erforderlich sind. Foto und Optik. Defekt, für Werkstatt oder Teile. Hasselblad 500 C/M Focusing Screen. Original Hasselblad made in Schweden. Original Hasselblad made in Sweden. In Teilbereichen nicht 100% funktionsfähig. Neues Ersatzteil. Zentralverschluß-Feder passend für die Carl Zeiss C, CF, CB, CFi und CFE Objektive. BATTERY COVER FOR THE CANON DATA BACK A. MADE BY CANON. DATABACK A CANON -N3. MADE BY CANON. CY1-1187-000-MAIN FLEX -M10. Cover wont fit the Polaroid SX-70 Model 3. Kit has adhesive laminate on the back for easy application. Material: PU Leather. Texture: Flat. By default this cover will be cut in black without the tripod mount. All kits have adhesive laminate on the back for easy application. Original recovery cover by hugostudio. FOR THE CANON EF 24MM F2.8 LENS. MADE BY CANON. 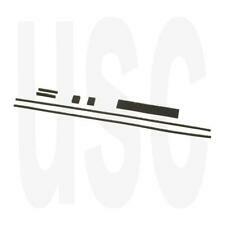 CA1-8503-000-BOTTOM BASE COVER UNIT -M10. NEW EOS KISS. FITS THE FOLLOWING CANON SLR MODEL EOS REBEL G. MADE BY CANON. CG9-0513-000-FLASH UNIT -N3. POWER DIAPHRAGM APERTURE UNIT 4 CANON EF 35-135MM F4-5.6 USM LENS. 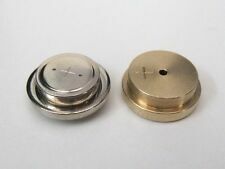 CG2-0503-000-POWER DIAPHRAGM UNIT-N3. MADE BY CANON. GENUINE IRIS/APERTURE UNIT. OM 2sp (OM 2s). 1 x OM SYSTEM Focus Screen 1-13. Compatibility: OLYMPUS OM-SYSTEM. Most suitable for normal photography, this screen assures pinpoint focusing. The central split-image rangefinder is encircled by a microprism collar. Precision cut light seals for Olympus OM 1, 2, 3 and 4. These are precision cut, self adhesive and ready to fit. Nik & Trick may be small, but we are now making the biggest impression in traditional photography because nobody loves film lovers like we do. CG9-1531-000-FRONT FITTING BARREL -N2. MADE BY CANON. FITS THE EF 28MM F2.8 CANON LENS. GENUINE IRIS APERTURE UNIT. MADE BY CANON. CY1-1657-000-UNDERWATER CASING COVER UNIT -M6. BODY UNIT FOR SURE SHOT 150U QD (QUARTZ DATE). MADE BY CANON.